The choice of whether to continue flap retraction after a SLATS DRIVE failure is an interesting one. 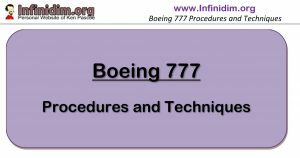 Crew need to carefully consider the requirement to retract in association with the weight of the aircraft, proximity of the minimum manoeuvring speed, etc. Of course having taken action without thinking clearly about it, the next reaction was to re-extend the flap in order to return to better speed margins. After the flap lever moved, the limiting speed would come down until a minor flap limit speed exceedence became a major one, with the AFDS/Autothrottle refusing to allow a speed reduction until the flaps were fully out and the minimum maneuver speed reduced. When a SLATS DRIVE failure occurs during takeoff – particularly at heavy weight – crew need to carefully consider continued flap retraction as an increasing minimum manoeuvre/stick shaker can combine with the flap/slat limit speed to leave the crew with no room to manoeuvre. Either AIRSPEED LOW or Flap Limit speed exceedences are likely. In a clash, the AFDS will exceed the flap limit speed, rather than fly a speed below minimum manoeuvre speed.